Māori and Pasifika people in Hawke’s Bay live shorter and less healthy lives than other ethnicities. So found the third biennial Health Equity Report, released in December last year. No coalface health practitioners would have been surprised. The culmination of a year of research and inquiry by the District Health Board, the Report is a grim read. 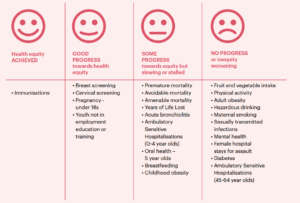 The sliding scale summarising its findings is heavily weighted towards stalling or regression of progress, painting a picture of a community on the brink of health apartheid. Equity has been achieved in a single area – immunisations – the result of community outreach programmes. Uptake of the HPV vaccine, delivered in schools in adolescence, has been greater by Māori and Pasifika teens than others, with a concentrated effort to deliver services in homes in a culturally sensitive manner. Such achievements can be lauded, but they are ‘low hanging fruit’. Accepting a free and accessible service is one thing; but effecting sustained behavioural, systemic and institutional change is entirely different. Failure of progression and backsliding is recorded in the greatest number of areas, many of which are behavioural, ingrained and difficult to change. The ‘amenable’ mortality gap (deaths that can be prevented through healthcare), which the 2016 report projected to close by now, is in stasis. Rates of acute bronchiolitis – a symptom of poor housing and a key indicator of underlying social issues – haven’t changed. There’s been little shift in rates of breastfeeding, childhood obesity, and the oral health and preventable hospital admissions of pre-schoolers. There are some optimistic improvements recorded for youth, but Māori teen pregnancy rates are still four times that of non-Māori/Pasifika. The report finds Māori and Pasifika eat less fruits and vegetables, are less active, more obese, drink more harmfully, and suffer higher rates of diabetes. They are more likely to have mental health problems, sexually transmitted infections and be admitted to hospital for issues preventable by earlier care in the community. Maori and Pasifika women smoke more than their Pakeha peers, and are more like to be hospitalised as a victim of assault. From those working within the DHB to those in general practice, no one disputes the findings. While the DHB writes reports and strategies, the frontline is busy – in an overworked, under-resourced, high-pressure sector – trying to find do-able, everyday solutions for some big, complex, entrenched problems. District Health Board general manager of Māori health, Patrick Le Geyt knows the Report’s findings are symptomatic of a bigger picture of social inequality. Socioeconomic factors drive about 45% of health inequities; 10-20% are attributed to the health care system. “We really need to be partnering together to look at some of the key foundational social determinants: income, housing, employment, access to health and social care,” he says, citing the DHB’s lead role in many initiatives of the Mātariki partnership – last year’s Regional Social Inclusion Strategy – as examples of how agencies are allying for change. The elephant in the room is funding. A $6.8 million deficit at the DHB last year means executive managers are now analysing spend with forensic meticulousness. The DHB says it is ready to shuffle budgets in a radical way. But the reality would then see care of the very old sacrificed in favour of bolstering the offering to young Māori and Pasifika. Meanwhile those working from within Māori and Pasifika communities in the Bay are fed up with ping ponging between policies, initiatives and resolutions imposed by the DHB. In general, their view is that given authentic and legitimate power-sharing – and the money that goes with it – they would do a better job themselves, from within whānau, hapū and iwi. One of the chief issues is pressure from both ends of a spectrum. Those privileged enough to make it to very old age then need increasing (and increasingly expensive) care from the same health system whose resources are then diluted, with the young, Māori and in-need missing out. With equity a priority, Jones notes the DHB needs to rethink end-of-life care for the elderly. “We need to make sure our care for those approaching death is appropriate for the person and their family, and avoid heroic investigations and treatments.” This would mean implementing a shift to “quality of life and quality of death, rather than throwing lots of resource at people in the final stages of life,” Jones explains. He is also clear that escalating health problems are going unaddressed, resulting in a heavy share of acute hospital services sucking up resources at the bottom of the cliff. Bringing about big change is going to take brave and holistic overhaul, not just DHB reports on the situation. “Our health system is not going to be sustainable if we don’t do something about health equity,” he says. Environmental and behavioural factors, as well as interactions with health services, can develop either resilience … or vulnerability. Jones recognises the way healthcare is delivered does not serve those who need it most. He sees a need for providers to recognise that what the system sees as standard treatment probably doesn’t work for all cultures, or perhaps only works for Pākehā. Flaxmere councillor and District Health Board member Jacoby Poulain would like to tip the model upside down and give more funding and more support to providing healthcare in the primary system. “To get our people healthy – mentally, spiritually, physically – outside the hospital,” she says. Ideally, one-stop whānau wellness centres would provide this, as a coronial report on the spate of teenage suicides in her ward recommended. That report proposed the employment of a team of Pacific Health Navigators to improve access. Poulain sees this as a short-term stop-gap, but knows it doesn’t take away the need for systemic change. 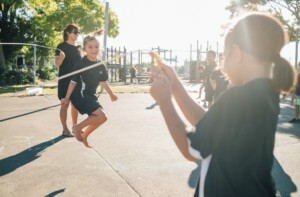 “A better result would be to make the system simpler so you don’t need navigators, so you can navigate it yourself.” Poulain applauds the work of those promoting Māori health in the community – Iron Māori, Patu, Choices, Te Taiwhenua. Inequities are entrenched, have deep historical roots and far reaching implications for this and future generations. And they’re complex to fix. Poulain sees strong links between historical loss of land and loss of wealth – both financial and cultural – and then social and economic deprivation. Bayden Barber is a Hastings councillor and chair of Health Hawke’s Bay (the PHO representing primary care providers). He now also chairs the Te Pitau Health Alliance between the DHB and Health HB, signed in late 2018. This group has been set up to fashion a transition to more extensive and effective community-based care. While the Te Pitau Agreement indicates Te Pitau will “make decisions and recommendations on what services should be funded by the Parties”, the ‘million dollar question’, so to speak, is, what funding pools will be available for new directions? Especially at a time when all units within the DHB are being asked to identify 10% cost reductions to meet budget overages. Not surprisingly, given DHB’s statutory obligations, the Agreement specifically notes that DHB will make some funding decisions “outside this Agreement”. Barber believes the key is indeed redistribution of funding – and power – and mourns the erosion of cultural capital created by inequity in mortality. Barber would like to see Māori empowered in leadership roles. Rather than power flowing top-down from governmental organisations, he wants focus to shift to a Māori worldview, centred on whānau. Barber champions Alaska’s ‘Nuka System of Care’ model, held up as the gold standard of indigenous healthcare. Through the 1990s, Alaska turned around a failing health system by handing over control to indigenous communities; native peoples moved then from ‘recipients of service’ to ‘owners’ of their health system. As the conversation moves from those around the boardroom table to those at the coalface, the tone shifts tangibly, from optimism to scepticism. No one disputes the Report’s findings or conclusions, just the likelihood of transforming talk into action. Totara Health has clinics in Hastings and Flaxmere. 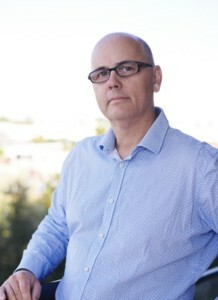 Dr Howard Dickson is the managing director. Totara’s practice, which has a huge Māori and Pasifika customer base, recently rolled out free GP visits for women aged 30 and under, funded from their partners’ profits. They’re also expanding what they offer on-site to include mental health services, ensuring referrals are comprehensively followed-up and acted on. Totara Health too has learned a lot from Alaska’s Nuka model, chiefly a shift in the doctor-patient power dynamic. It’s evident in how Dickson refers to ‘patients’ as ‘customers’, is engaged in on-going community consultation, and values the creation of trust relationships. This is a central message of the DHB report, but one he is sceptical can be achieved on the scale required with the resources available. By comparison, the DHB employs just 15% Māori and 1.5% Pasifika – far from the regional population mix of 24% and 4.5% respectively. The DHB has not yet reached its target of increasing its Māori workforce by 10% annually until it falls in line with the community. 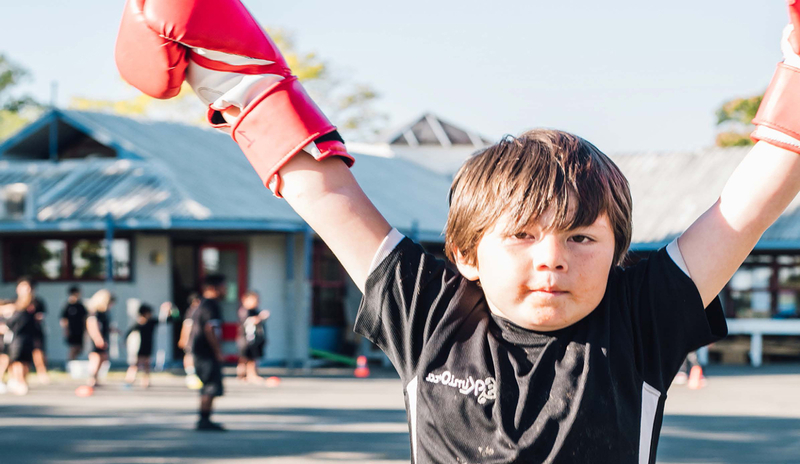 At Flaxmere’s Kimi Ora Community School, principal Matt O’Dowda is also taking a hands-on approach to making change. Tired of trying to teach unfit and undernourished children, he instigated a health and wellbeing regime at his school consisting of physical fitness every morning, a family-inclusive free breakfast programme, and a lunch scheme costing parents a dollar a day. “It doesn’t really matter how good your education has been if you’re dead by the time you’re 25. We feel a massive responsibility for that and it forms a huge part of our curriculum,” says O’Dowda. Fresh vegetables come from the school garden in which the children work and learn. He’s also instated compulsory classes on nutrition and wellness, and children take learnings home, creating change from the bottom up. O’Dowda has invested in growing the school as a community hub: the marae is on site, and they have a weekly visit from a public health nurse. Barriers to accessing health services are rife in his community, including transport issues, large families, parents working multiple jobs (and therefore unable to make or meet appointments), and new arrivals to New Zealand unsure of how to navigate services. O’Dowda sees the compounding effects of poverty on families. The knock-on effects are domestic violence, mental health issues, drug and alcohol abuse, much of what makes up the DHB Report’s ‘failure list’. O’Dowda knows change can only be effected long term, but is frustrated by a funding model that favours acute cases. “We can’t keep throwing money at the end result trying to fix people once they’ve fallen over. But it’s really hard to get money up front to get preventative programmes established,” he explains. 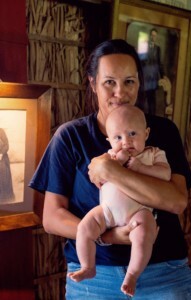 Beverly Te Huia is a midwife by training and helped establish Choices Kahungunu Health Services. She’s a health advisor working throughout New Zealand as well as overseas. She sits on the board of the Te Pitau Alliance, where presumably she’s in a position to help drive change. She has links back fifteen generations in Hawke’s Bay, a lineage devoted to healing, from traditional tapuhi to nurses and midwives. She blends hands-on healthcare with research, both within the existing conventional healthcare system and as part of a hapū who have retained lands and culture. Te Huia supports the conclusions of the Equity Report: to listen to disenfranchised communities and partner with Māori and Pasifika leaders; and to change the current system to address institutional racism and shift to a whānau-centric model for all. Her frustration is compounded by frequent changes in policy, with successive governments shifting the goalposts before change can be actioned and rolled out. For her, the Report displays “a paternalistic view”, potentially adding to the issues rather than mitigating them. Whereas Alaska’s Nuka model has federal funding allocated directly to the people, without caveats, conditions or political interference, the DHB is trying – with all good intention – to replicate that philosophy while still holding the purse strings. She believes that if the DHB were serious about replicating the successes of Nuka they would lock in a funding stream directly to hapū groups independent of the DHB. So, after yet another reminder report on health inequity in Hawke’s Bay, will effective change occur in how health services are delivered to our neediest populations? To the cynics, the answer is simple: good intentions aside, follow the money.